This 2000 Porsche 911 Carrera 4 Millennium Edition is a beauty to behold. One of only 911 made, this is truly a collectors item. Powered by a 3.4-liter, 300-hp flat six-cylinder engine and mated to a six-speed with overdrive gearbox; this rare Porsche is just one of 911 produced. This example is number 529 built in commemoration of the new millennium. All Millennium Edition 911s came well-optioned and colored identically; Violet Chroma Flair over Natural Brown full leather interior. The color is exclusive to this car; the rich leather covers most interior surface areas, including the center console. High-gloss wood accents complete the atmosphere. This model has special 18-inch chrome turbo-twist wheels and 911 badging on the exterior; a numbered Millennium Edition plaque is found on the dash. The large list of standard equipment includes navigation, sound system with CD changer, Porsche Stability Management (PSM), silver-faced gauges, chrome exhaust tips, rear wiper, power heated seats with lumbar and memory, power sunroof, Xenon headlights, power windows and much more. The paint is a special color developed for Porsche and is “chameleon”. It is usually a deep violet, but show shades of green, gold and gray; then appears black after sunset. 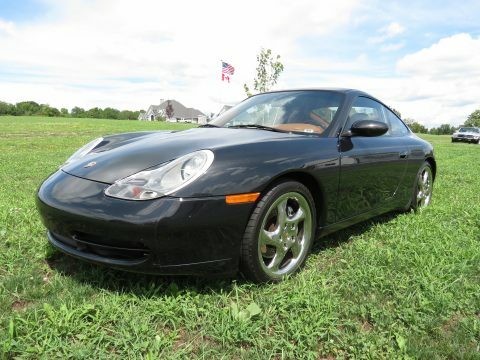 With only 75,700 miles, this beautiful Millennium Porsche is ready for the road. Priced At: $31,000. Please feel free to call our transportation specialists at (518) 753-7446 or e-mail: tracy@rolisauto.com. We look forward to hearing from you!